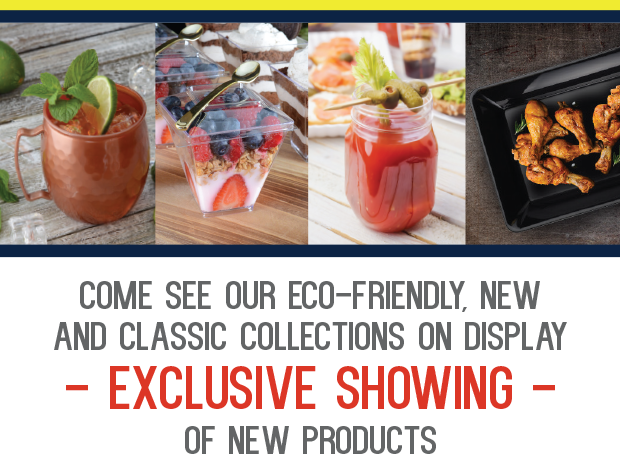 With the month of March along the way, here comes the Catersource Conference & Tradeshow that we all look forward all year long, everyone is excited and so are we. This year we are not only being Crystal Sponsor, we're also sponsoring the Diced Competition that will be a live event taking place Wednesday the 26th of March on the tradeshow floor, it's going to be lots of fun, we're really looking forward to it. 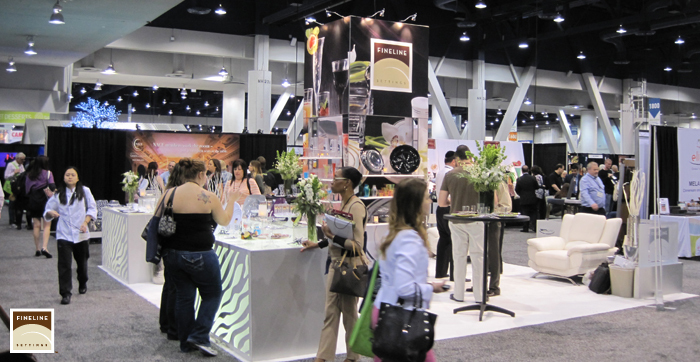 The name Catersource has become synonymous with caterers and party planners as well as many professionals in the event planning and hospitality industry, there's always something new that you can show and learn, the trends are being discussed and are being set at the same time. Going to any of the conferences this year? You better make sure you're ready to take it all in, with a lineup of the top players in the industry you are going to be amazed with the content that will be discussed at these events. 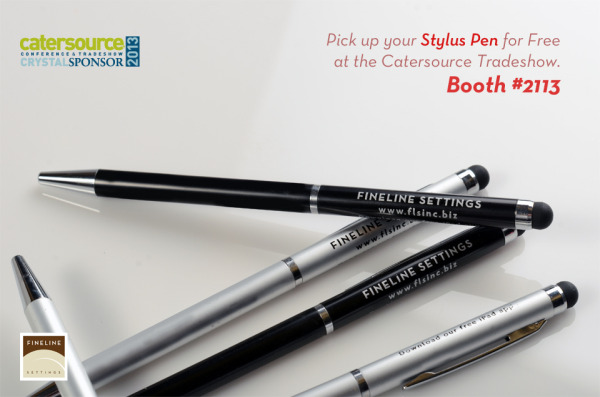 Fineline Settings has been sponsoring the Catersource show for many years and we look forward to each and every year, we simply love it. 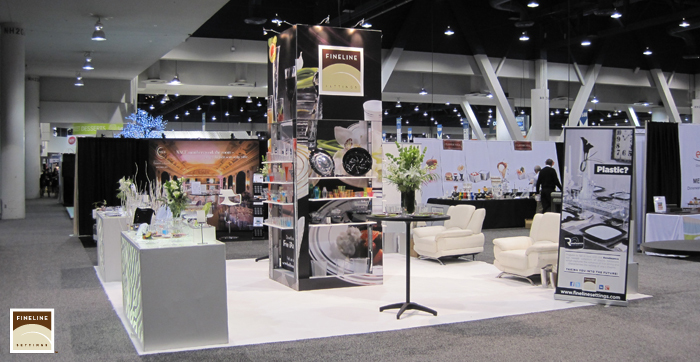 This year Fineline will be setting a larger booth with some major exciting additions to our already beautiful product line, if you're going to be at the show we'd love for your to come by and say hi to our team, step in to our booth #1323, have a seat and pick up our catalog as you browse through our product line, we'll demonstrate the best use for them as well. 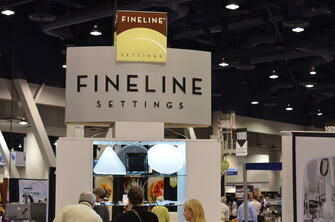 You'll also see Fineline Settings product line being used at the Diced competition, that'll be very fun and exciting, we're really looking forward to it. When you stop by our booth make sure you get scanned so you can enter to win $250 woth of disposables, yep, we're giving it away and we want you to be the lucky winner. We're looking forward to meeting and greeting each and everyone of you! 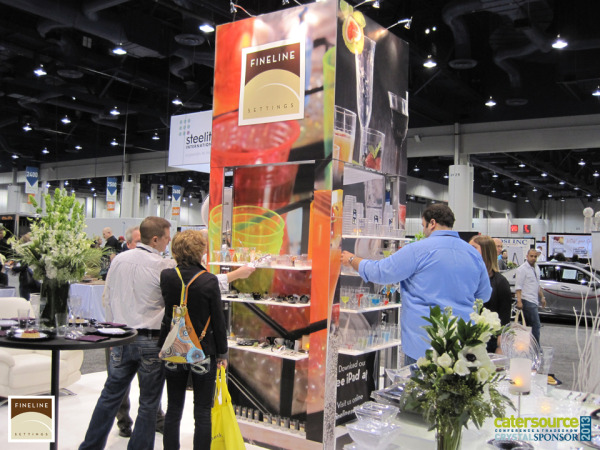 If you're in the foodservice, catering, hospitality, party planning, event planning or retail party market, this event is for you and your first stop is Fineline Settings at booth #1323. Welcome back from Las Vegas everyone! 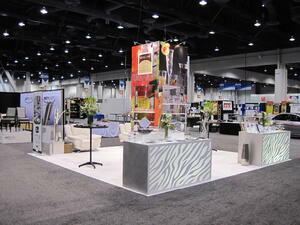 We've just got back from an amazing Catersource Tradeshow. 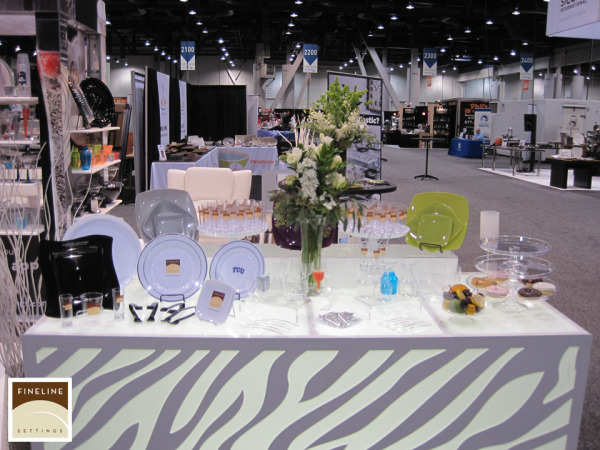 This show has become for us a real great event where we can display our full line of Upscale Disposable Dinnerware and Partyware collections and it's only getting better over the years, the Catersource company is an amazing company with a bunch of great people to deal and work with, they are very nice and friendly. The show was an amazing experience for us as it was for all attendees, this is a very hands-on show where everyone has questions and interacts with each other, that's when you can get a sense if what you're doing is right. When an attendee comes into your booth and starts getting excited when they see your products, they take photos of the products and ask different questions about the product, you know you're doing something right. That's exactly what we've had in the past few days, we have been showing our new products that will be available in the coming few months and we have gotten only positive response from all the attendees. The first product that we will be launching is the Renaissance plates in different trendy colors, there will be a purple/wine color, a beautiful metallic silver color and a pistachio green color. These new color will be available for all three size plates. We've also been showing a new service that we have begun to offer, printing on products. What that means is, say you're doing a catering event for a client that has a large company, a great way to bring together the party is by having the clients logo printed on the plates, trays, utensils and tumblers, when people arrive at the party they'll know that this is a promotional party for that company and they'll remember it for a long time. The same goes with promotions, say you're a deli or a breakfast and coffee house, you'll want your patrons to feel at home with that personal touch, adding print on product is a great way to bring that together. More of the new products that we've been displaying were, a new mini wine carafe, a new real mini wine glass and a cute little espresso mug with a tiny little handle to get your finger in there, there was also a silver pick, great for martinis and fruit dishes. We also have 5 new catering items, 2 size deep trifle bowls and 3 different sizes of cake trays with stands that build upward in tiers, those will be available in clear and white. All in all we can say that we've had a truly engaging tradeshow and everyone who passed our booth had been amazed over the booth layout and the product. It's not too late to signup for our free iPad giveaway which will be announced on Thursday the 22nd of March, you can signup here make sure to like our Facebook page in order for you to win, check out our Facebook page here and start engaging with us about our products, we'd love to hear from you. We would like to take this opportunity and thank all attendees who have attended the show and visited our booth, it's people and customers like you that we work for every day and make sure our products are top notch quality, thanks for your support, we look forward to servicing you for all your upcoming events and catering needs.